Retirement, senior living and health care for seniors are all topics that can easily become overwhelming. But they don’t have to. 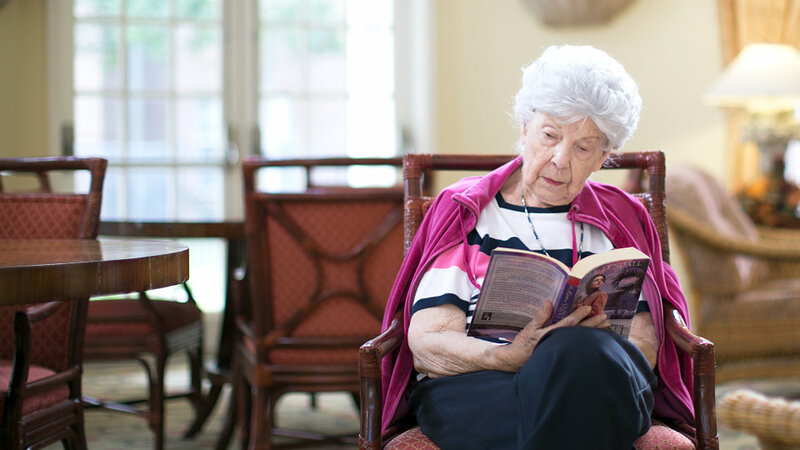 January is National Book Month, so we’re taking the opporutnity to share our favorite senior living resources that help answer some of the industry’s most frequently asked questions. National Geographic explorer Dan Buettner set out to study what are known as “blue zones,” areas across the globe that have distinctively higher longevity rates and numbers of centenarians. There may not yet be an official cure for Alzheimer’s, but there are effective strategies for treating it. The best way to treat Alzheimer’s? According to author John Zeisel, Ph.D., the key is focusing on the individual’s strengths. Abilities such as connecting to music and art are things that don’t diminish over time. Zeisel teaches readers how to utilize these and other strategies to connect with a loved one living with Alzheimer’s. His book is a must-read for any caregiver. Author Missy Buchannan uses a series of thoughtful devotions to answer the question many senior adults are asking: what’s my purpose now? Aging naturally brings changes–lack of work, loss of loved ones, changing health. Buchannan’s words, however, help readers understand how to cope with these changes and still find meaning in everyday life. Whether you’re a senior adult or the loved one of a senior adult, learning to find this kind of hope is crucial–and something residents at Buckner communities work toward every day.